Time to celebrate…then get back to work! 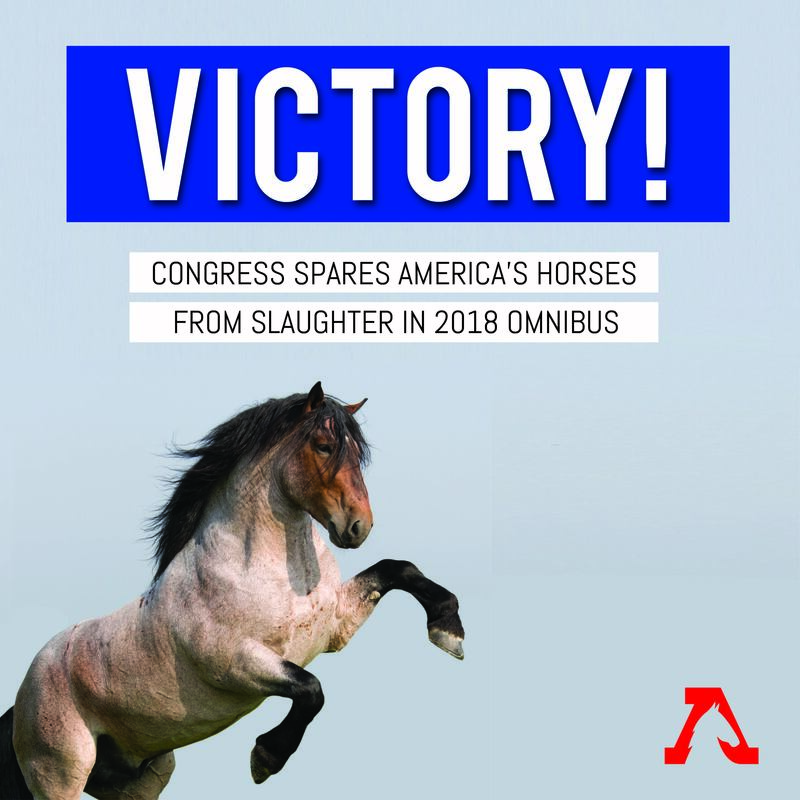 The Omnibus spending bill is finally out, and America’s horses are protected for the next six months! This is huge! Congress heard the voice of the American people and maintained protections for wild horses and burros against slaughter and mass killing. The spending bill also maintains the de facto ban on U.S. horse slaughter by continuing the prohibition for federal funding of USDA horsemeat inspections. While we breathe a collective sigh of relief, let’s take a moment to savor the significance of this victory. Just one year ago, newly-appointed Interior Secretary Ryan Zinke made killing wild horses and burros a top priority of his administration, and he aligned with powerful agricultural lobbying groups to get his lethal agenda through the Congress. But these special interests could not drown out the voice of the American people, who want our wild horses protected and humanely managed, not slaughtered. We share this victory with many organizations and tens of thousands of citizens across the U.S., who made their voices heard on behalf of our iconic mustangs and burros. So let’s celebrate today, but while we do, let’s remember that this fight is far from over. This spending bill expires on September 30, 2018, and Zinke’s Interior Department will double down on its efforts to slaughter our wild horses and burros. The next appropriations fight – for Fiscal Year 2019 -- has already begun. We’re counting on your support in the coming weeks and months as we work to build on this victory and secure lasting protections for our magnificent wild horses and burros. So please, stay tuned, stay strong and stay ready. But, tonight, enjoy the victory!